Look no further for your own paradise.This 3 bedroom, 3.5 bath Colonial is a must see!! 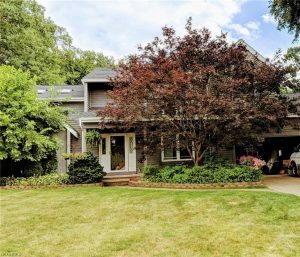 Enjoy a heated pool, hot tub on deck, sunroom, sunporch and a peaceful serene back yard on a cul-de-sac in beautiful Mentor. Inside enjoy large living areas, finished basement with walkout, loft, sky lights, ceramic and wood floors, granite counter tops and a master bedroom with a jacuzzi tub not to mention wooded views from every room. Newer windows and Roof in 2016, Two car attached garage, fully fenced backyard and a large shed. Wood burning fireplace can be converted to gas.